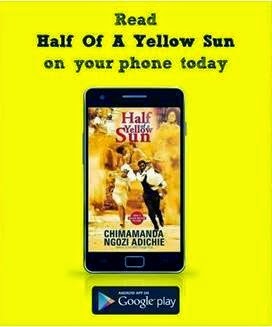 Get the classic movie “Half Of A Yellow Sun” by Chimamanda Adichie on your Android phone or tablet today. The award winning book published by Farafina in Nigeria tells the story of the Nigerian Civil War through the perspective of the characters Olanna, Ugwu, and Richard. Download the full story at Okadabooks today and join over 20,000 okadabooks users who have already downloaded more than 218,000 books including classics such as Chimamanda Adichie's "Americanah" and Nnedi Okarafor's "Who Fears Death"